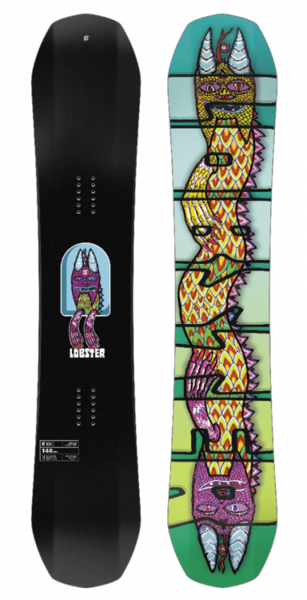 Lobster had to say ''Zeachman, aka Big Mike Gonsalves, has been an electrifying figure in the snowboard scene for years. Whether he’s taking his shirt off and hitting the massive wall ride at Superpark or creating insane art, he’s someone we’re stoked to team up with and bring you this special Artist Addition board. It’s built on the Halldor Pro shape so it’s ready for anything.'' To me and you this means this is a Halldor Helgasson pro model shape, camber and sidecut with a detuned base and core. 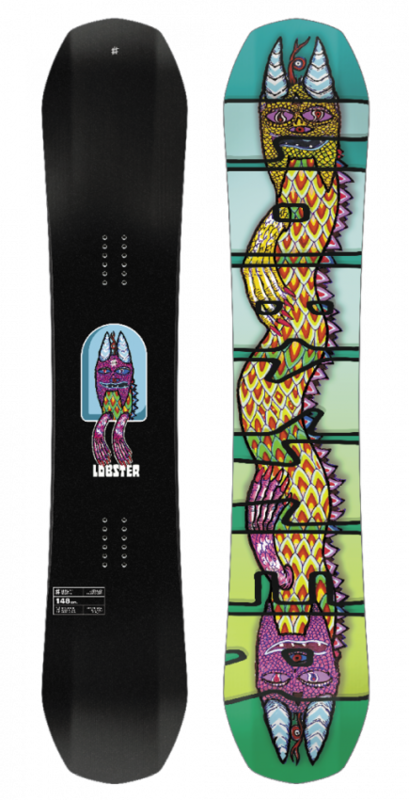 Add in a wicked Graphic better than his actual pro model and the sea creature is sure winner for any all mountain freestyle terrain you can throw at it. The 3Bt makes edge catches a thing of the past too with a real easy going surfy feel to this one on a well specced mid flexing board. This is the wide version of this board, please see our other lisiting for the regular width version of the board.